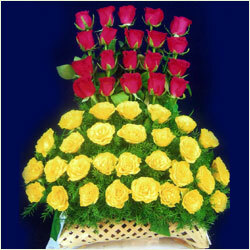 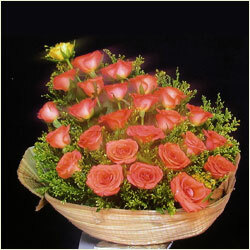 Wish you loved ones with this cute & classically Basket of Roses and Gerbras (16 flowers). 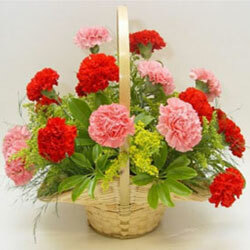 A basket of fresh gerbras, carnations and Roses (18 flowers)is splendid gift to welcome this New year. 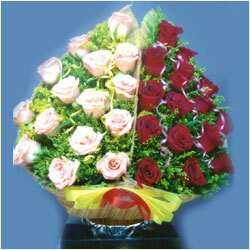 Roses convey the language of love. 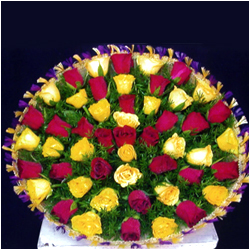 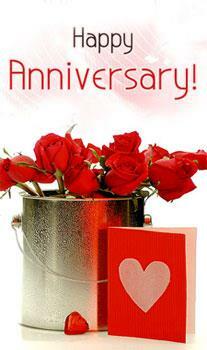 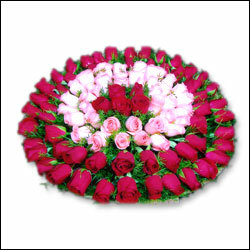 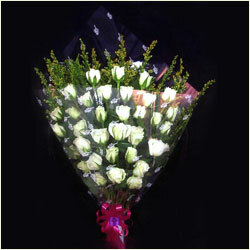 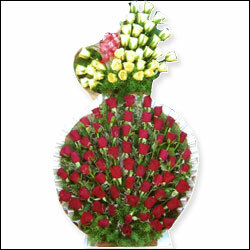 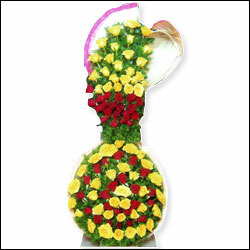 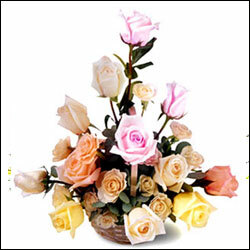 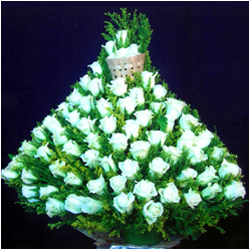 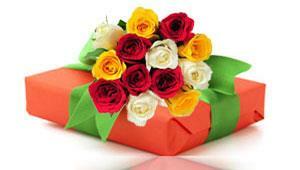 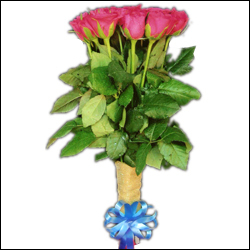 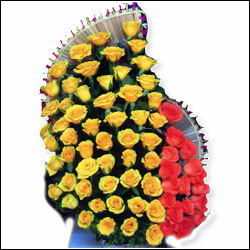 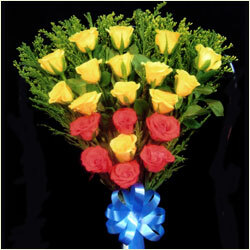 An arrangement with colorful mixed roses (18) amidst contrasting greens makes a perfect chocie to wish someone you love. 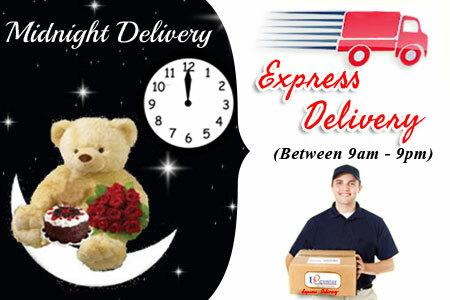 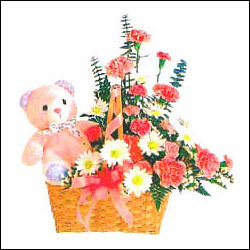 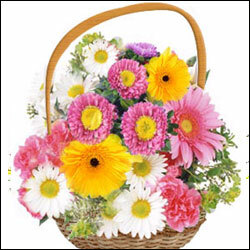 This gift of cute cuddly teddy bear in a basket of fresh 18 mixed flowers will surely endear your loved ones. 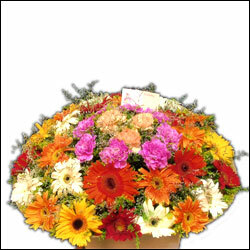 The arrangements may vary slightly from the image displayed. 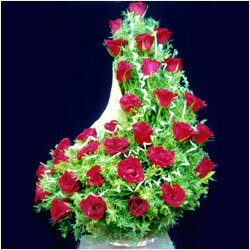 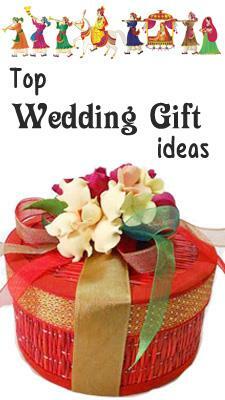 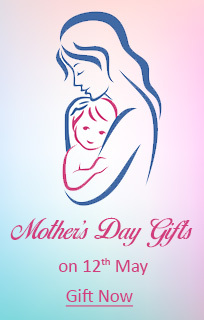 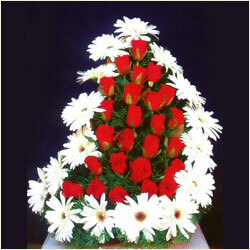 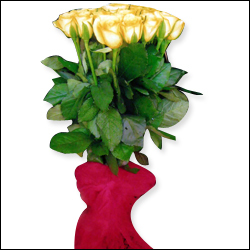 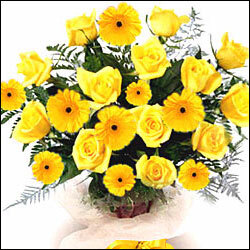 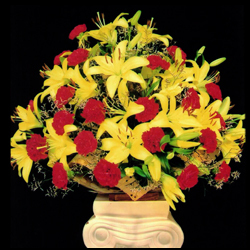 If the specified flowers are not available, an appropriate substitute will be used. 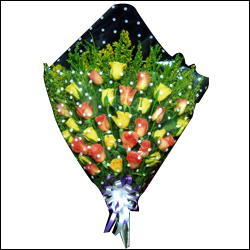 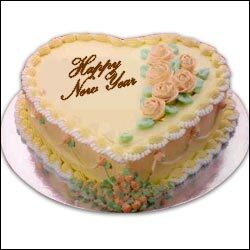 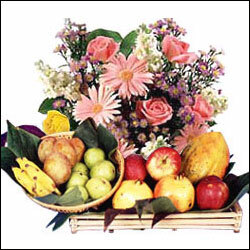 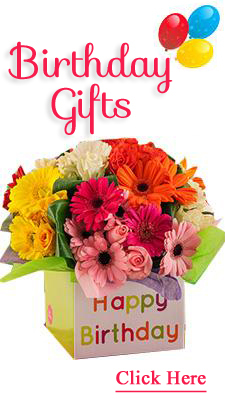 Flowers and juicy fruits makes a splendid and thoughtful gift to convey your warmest wishes on this New Year.Fruit Basket 3kg + 15 Mixed flowers in a Vase. 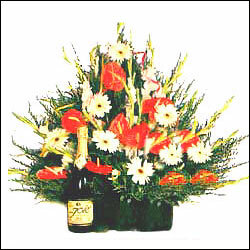 Champagne and flowers make perfect gift idea for any celebration.Fresh Mixed flowers (20)arranged elegantly in a beautiful basket is accompanied by a bottle of the best Indian Champagne. 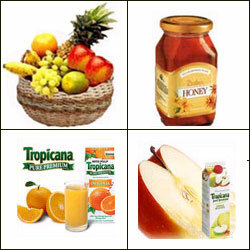 Product may vary slightly from the image displayed.